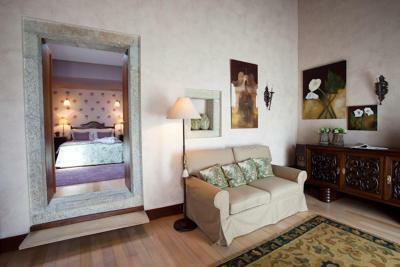 Lock in a great price for Quinta do Monteverde – rated 9.6 by recent guests! Proximity to the beach (20 min walk), swimming pool is sheltered even on a windy day, allowing to sun bathed and swim, breakfast is lovely. Beautiful tranquil location but easy walks to nice restaurants. Great pool and tennis court. Superb breakfast with the best scrambled eggs ever! 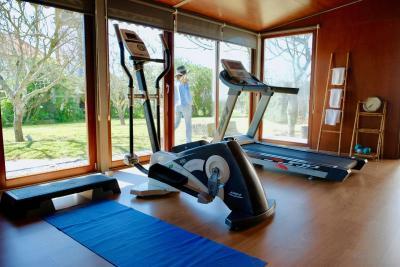 Great location, great facilities, very peaceful and welcoming. Very relaxing three days spent here, superb breakfast and very helpful staff. 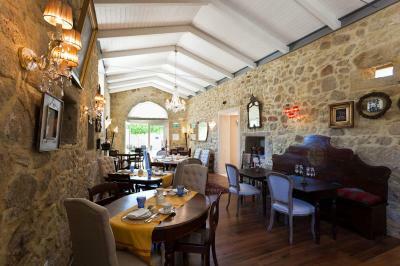 The rooms and the garden are very lovely and the breakfast is amazing. 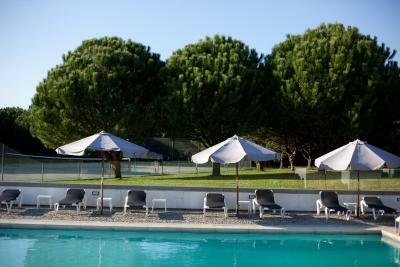 This place is a must if you wanna stay somewhere in the North of Portugal. Exquisite decor in this gem of a spot. 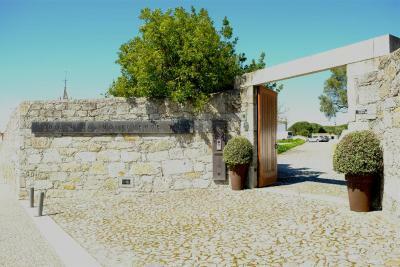 Once you enter the walled estate of Quinta do Monteverde you discover a little world designed for your comfort and leisure. A huge thank you to Dona Fatima who oversees every detail, and also to Raquel and all the staff who are prepared to do anything to assist every guest! 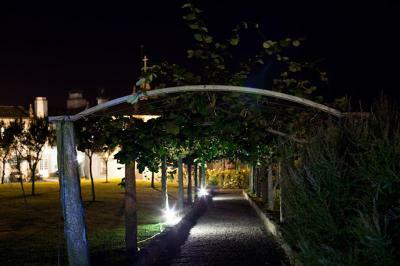 Beautiful Manor House with wonderful garden and great facilities. Photos on website don't do it justice. Our highlight of the day was evening drinks on the day bed looking out across the garden, the church and the town to the sun setting over the Atlantic. 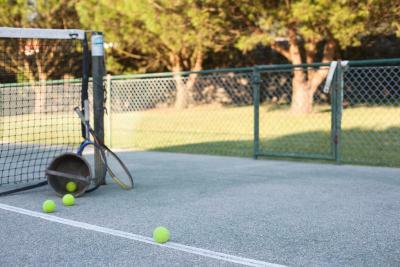 The property is walled and gated so completely secure for the kids to wander around, making use of the games room, tennis court and 12m pool. Staff were super-friendly and helpful. Rooms and grounds were immaculate. We had a wonderful 5 night stay. Heerlijke rustige locatie , super ontbijt , prachtig zwembad . אחוזה מטופחת באווירה רוגעת באזור וילה-דה-קוסטלו. ארוחת בוקר מעולה. This restored 17th-century manor features an outdoor swimming pool and tennis courts. It also has free Wi-Fi. Castelo de Neiva Beach is 0.9 mi away, and Estela Golf Course is 7.5 mi from the hotel. 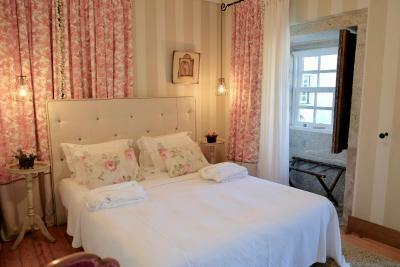 All of the accommodations at Quinta do Monteverde features bright décors and seating areas with wooden flooring. Each has a refrigerator, and a bathroom with slippers and bathrobes. The free buffet breakfast includes fresh orange juice and coffee, as well as homemade cake and jams. Guests can eat at the Casa do Lagar restaurant or outside in the courtyard. The manor has a library and a games room with a billiards table. Bike rentals can be arranged by the staff. 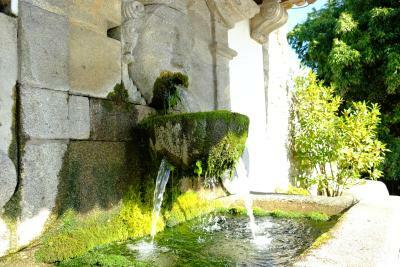 The Quinta do Monteverde is just a short drive away from the Museum of Sargaço and the Archaeological Museum. 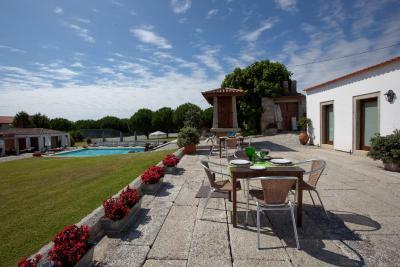 When would you like to stay at Quinta do Monteverde? These bright rooms feature a rustic decor. They have private bathrooms with slippers and bathrobes. Each has a small fridge and central heating. Port wine and fresh fruit are in the room on arrival. Most of the rooms have a view of the Atlantic Ocean. This room has no capacity for extra beds. These bright, spacious suites feature a rustic decor. They have private bathrooms with slippers and bathrobes. Each has a small fridge and satellite TV. Port wine and fresh fruit, water and tea are in the room on arrival. They also have a well-equipped kitchenette. Some have a view of the Atlantic Ocean. 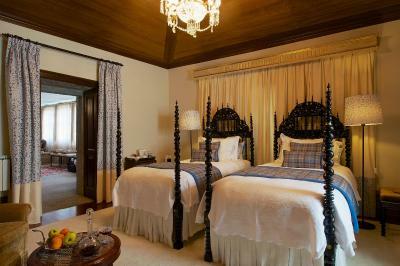 This suite can accommodate 1 extra bed for 1 adult or 2 children up to 6 years of age. 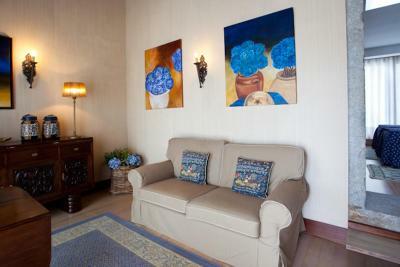 The spacious suite features a rustic decor. It has a private bathroom with slippers and bathrobes. It also has a small fridge and central heating. 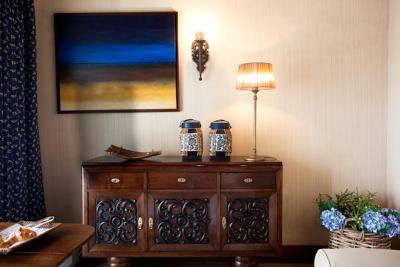 Port wine and fresh fruit, tea and coffee are in the room on arrival. 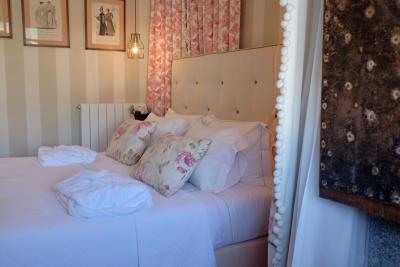 This room can accommodate 1 extra bed for 1 adult or 2 children up to 6 years of age. This bright two-story apartment features panoramic ocean views and a fireplace. It includes a private bathroom with slippers and bathrobes. It also has a kitchen with a refrigerator and dishwasher. Port wine and fresh fruit, tea and coffee are in the room on arrival. 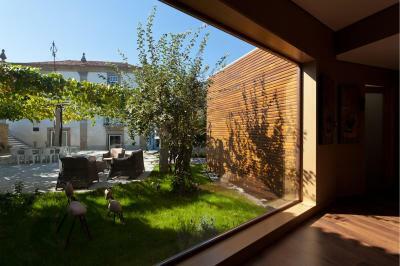 This bright apartment has a terrace surrounded by walnut trees and hydrangeas. It includes two private bathrooms with slippers and bathrobes. It also has a kitchen with a refrigerator and dishwasher. Port wine and fresh fruit, tea and coffee are in the room on arrival. This room can accommodate 1 extra bed for 1 child up to 15 years of age. 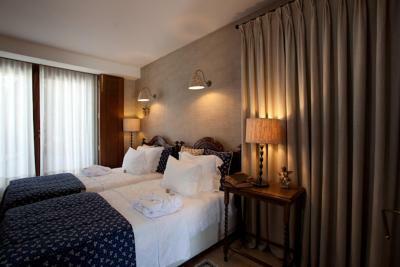 Offering views of the inner terrace, this room combines white linens with classic-style furniture. 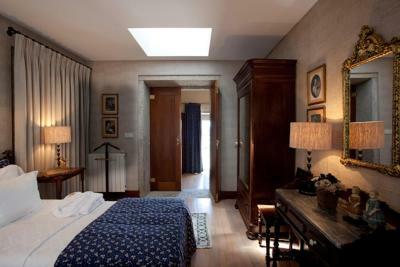 It has a small fridge and satellite TV, and the private bathroom comes with slippers and bathrobes. Port wine and fresh fruit, tea and coffee are in the room on arrival. Please note that this room has no capacity for extra beds. House Rules Quinta do Monteverde takes special requests – add in the next step! Quinta do Monteverde accepts these cards and reserves the right to temporarily hold an amount prior to arrival. 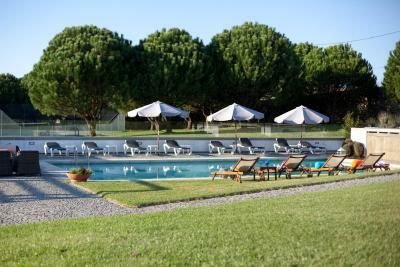 Guests must inform Quinta do Monteverde of their estimated time of arrival at the time of booking or by contacting the property directly. Dinner service is available for guests, subject to prior request. Please note that all extra beds and cots are only available upon previous request and pending availability. The beds were a bit hard for our liking. Small room compared to price. Location is convenient for the airport (45km) and only 2km from a quiet, sandy beach, but town of Castillo do Neiva has limited facilities. Coviran supermarket (600m away) is a decent, small supermarket and there is a butcher/baker even closer, but choice of restaurants is limited. Better to drive 8km to Viana do Castello for dinner. Kitchen was fully equipped so we ate in some nights.